Mt. 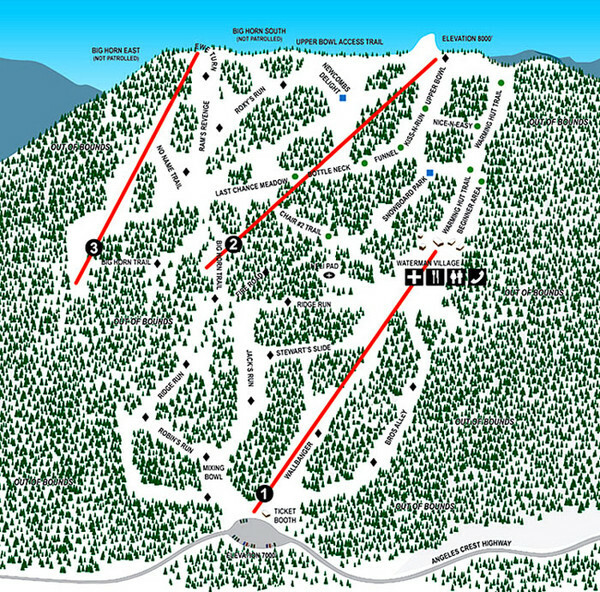 Waterman offers skiing and snowboarding in the winter on our hill. We also offer scenic lift rides for those who do not ski or snowboard. We are a day ski area so come on up and enjoy the warming hut and some hot cocoa while watching the skiers and boarders swoosh by. Our Season usually starts in Jan and can go to April. We do not have snow making on the hill so we rely on Mother Nature. We do not have any sledding or snow play on the hill but a great spot on the top for snowmen building. We do not have rentals on our mountain so grab your gear before you come and have a full tank of gas. We look forward to seeing you on the hill. We offer Ski and Snow Board Lessons on our hill. All of our instructors are Nationally Certified and trained in their field. Times subject to change from weather conditions. Please call the Friday before the weekend you plan to come up. 2-6 people Children must be at least 9 yrs with a little experience.